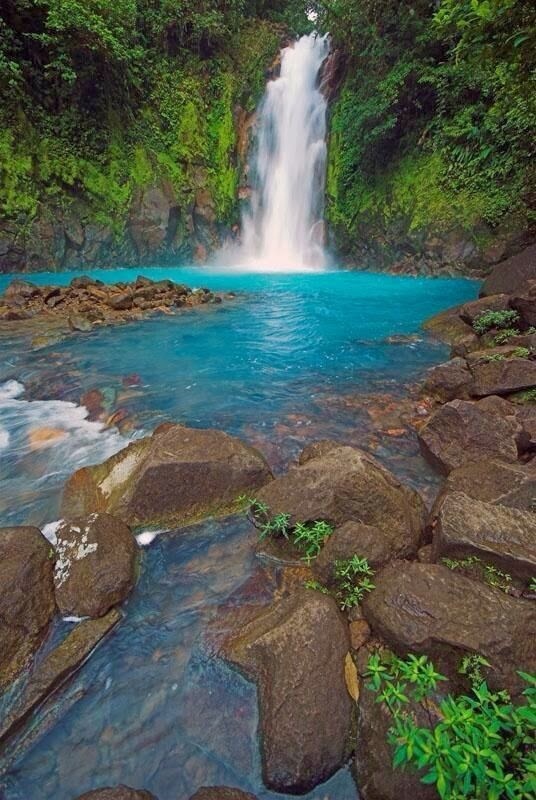 Celeste River is a river in Tenorio Volcano National Park of Costa Rica. It is notable for its distinctive turquoise coloration, a phenomenon caused by a chemical reaction between sulfur and calcium carbonate. The Celeste River also borders several hot springs and has one large waterfall. It takes about an hour to hike to the waterfall from the park's entrance.